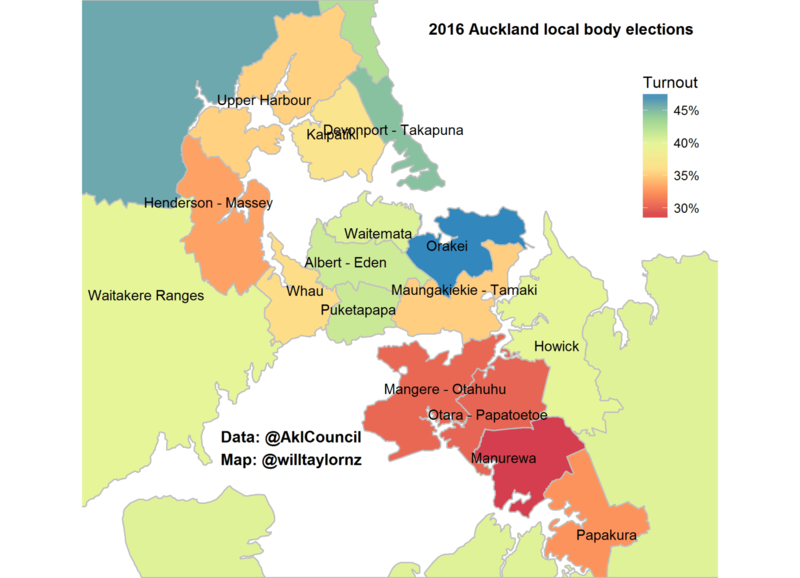 I wonder how a map with data on home ownership and owner occupier percentages would go with the above, I think it will tell us something. 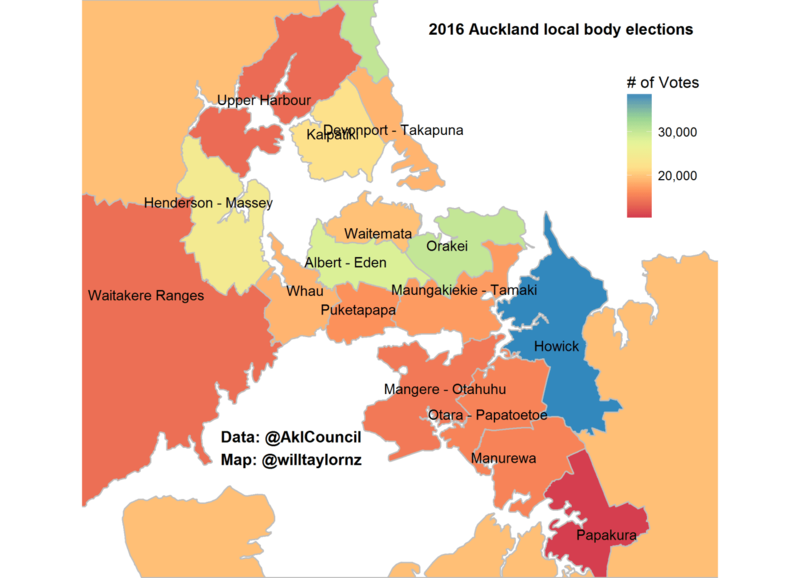 South Auckland and West Auckland have higher rental occupier rates as far as I have heard, and renters seem to be less inclined to vote in local body elections. Add income levels, and we may see further interesting information on how that may correlate to voter participation.